On Sunday October 8, 2017 at 3pm Polonia will have the opportunity to hear an afternoon of Polish music performed by internationally renowned pianist Kazimierz Brzozowski. This concert will feature works of Chopin, Lessel and Szymanowski with an afterglow of wine and Polish hors d’oeuvres. The concert and reception will be in the beautiful setting of the Steinway Piano Gallery at 2700 E. West Maple in Commerce Township. Please call the Steinway Piano Gallery at 248-560- 9200 for reservations. General admission is $30 and for Steinway Society members it is $25. Seating is limited so please call early. This has been an especially popular event so you may wish to also arrive early. After his concerto debut at the age of fourteen, Kazimierz Brzozowski frequently performed as a soloist with the Lublin Philharmonic Orchestra and he gave series of concerts in Hungary. As a student in Warsaw, he often appeared in recitals at the Academy of Music, Chopin Society, Warsaw Musical Society, National Philharmonic Hall, and at Zelazowa Wola, Chopin’s birthplace. He has made recordings for the Polish Radio and Television, recorded compact discs with music by Bach, Mozart, Chopin, Szymanowski, Liszt and Bartok. His recordings are also included in popular CD sets “Living with the Classics”. Mr. Brzozowski’s performance highlights include a New York Carnegie Hall debut, performances in Warsaw with the Polish National Radio Orchestra, recorded live for the Public Radio and TV, concerts at the Mozart Festival and the Chopin Festival in Warsaw, recitals for the Chopin Foundation in Florida, and concerts in Japan. 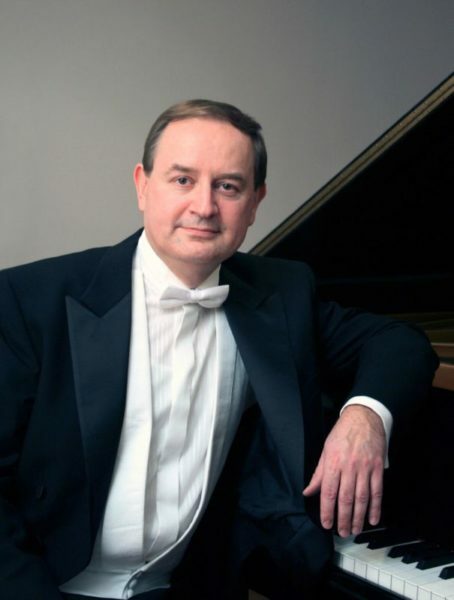 Kazimierz Brzozowski currently resides in Michigan, where he has frequently performed in recitals, and as a soloist with symphony orchestras including the Detroit Symphony Orchestra. He performs in his native Poland as well, in recitals and as a soloist with Philharmonic orchestras. He is a graduate of the Warsaw Chopin Academy of Music (M.M.) and University of Michigan (DMA). He has received awards from the Chopin Music Academy in Warsaw, Ann Arbor Musical Society in Michigan, University of Michigan and Kosciuszko Foundation in New York. He is a prize winner at the Polish National Piano Festival and Chopin Society Competition in Warsaw. Mr. Brzozowski is a Steinway artist. In July 2016 at the 20th International Piano Festival in Nałęczów he was decorated with the Medal of Merit for the Polish Culture awarded by the Ministry of Culture and National Heritage of the Republic of Poland in recognition of his artistic and pedagogical achievements. At the same time he received Appreciation Awards from the Mayor of the City of Nałęczów and from the Lublin Voivodeship Marshal for his cultural contribution to the city and the region. Dr. Brzozowski is the founder and director of the International Music Festival, held annually in Naleczow, Poland. This event, now in its twentieth year, attracts international high school and college students for intensive study and performances, both solo and with a chamber orchestra. Faculty and guest artists come from Poland, United States, Russia, and Japan. Kaz Brzozowski’s upcoming concert at the Steinway Piano Gallery on October 8 2017 will be a wonderful way to celebrate Polish Heritage month in a setting where the best of Polish music will be performed by an internationally recognized artist before an international audience. Kaz is a splendid artist who is blessed with that special personal gift which allows him to easily connect with his audience, as many of you already know. This will be a day featuring Poland and Polonia at its very best. Your being there will greatly add to the success of this very wonderful and charming Polish cultural and social event.